Ten Goals in 180 minutes of Friendship and Shield Finals at the Somerset Cricket Club resulted in two teams defending their Titles. 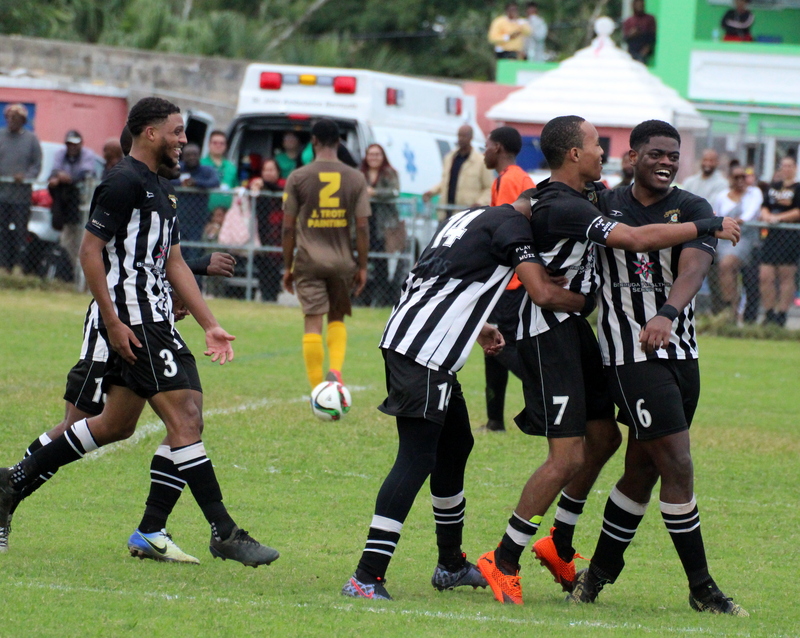 The PHC Zebras retained the Friendship Trophy title with a 5 – 2 win over the Dandy Town Hornets thanks to 4 goals scored in the first half. The PHC Zebras would take the lead in the 20th minute when Rakeem DeShield scored a header, Tre Ming would double the lead eight minutes later when he scored from inside the box. The PHC Zebras looked to running ramped with Keishon Bean scoring in the 34th minute making it 3 – 0 and when Ming scored his second five minutes later the PHC Zebras held a 4 – 0 lead, which they took to the break. The Dandy Town Hornets looked to get back into the match in the second half, but they would fall behind 5 – 0, when Ming completed his hat-trick in the 49th minute, but the Dandy Town Hornets scored twice in a seven minute period, Angelo Simmons scored in the 70th minute and Damon Ming scored in the 77th, but the PHC Zebras were able to keep the Dandy Town Hornets out for the remainder of the game and lift the Trophy. The Southampton Rangers defended their Shield title they won a year ago with a 2 – 1 win over Hamilton Parish. The Southampton Rangers would take the lead in the 39th minute when Jarazhino Bassett scored, they would take that lead to the break. Southampton Rangers would double the lead in the 50th minute when Donte Brangman found the back of the net, but three minutes later it was a one goal game when Macquille Walker scored for Hamilton Parish. Neither team would beat the goalkeepers again as the Southampton Rangers lifted the Trophy.